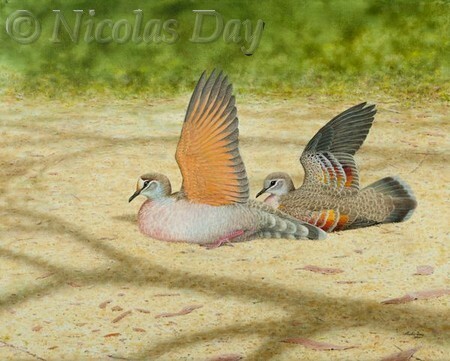 Bronzewing pigeons print from original Nicolas Day painting. The birds come regularly to feed near my home and will open their wings for exposure to sunlight or rain. The colourful underwing is then seen at it's best, showing the bronze irredescence for which the bird is named. 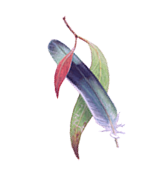 In this painting I have shown them amongst the traces of shadows from branches overhead.